Centuries-old monasteries and Norman churches. 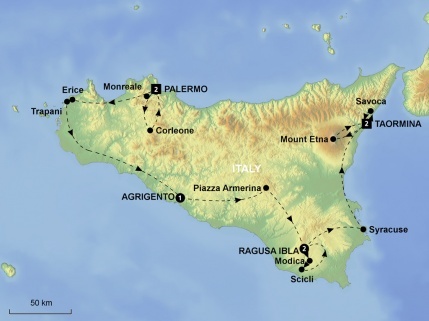 Ancient Greek temples and bustling Italian markets. 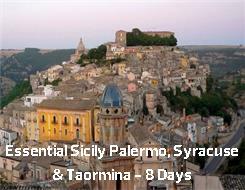 Sicily is a living museum, wrapped in superb scenery that ranges from sheer gorges and golden beaches to a remarkable volcano - and our tour lets you see it all. Entrance included to: Norman Palace, Palatine Chapel, Valley of the Temples, Kolymbetra Garden, Villa Spaccaforno, Trapani Salt Museum and Villa Romana del Casale.